How much can you afford to spend on accommodation? There is a broad range of rents to suit all budgets. Standard single rooms with shared bathroom facilities are our most economical option but if you really can't bear the thought of sharing your bathroom then en-suite is for you. Click here for an overview of our rents. How do you feel about living in a large community? We offer a range of sharing options in a variety of sizes of halls. You should consider whether you will be happier in large groups or if you would prefer to be in a smaller flat and hall where you can get to make friends more easily. A number of our sites also contain studio flats for students who really value their space - all the benefits of living in halls with a little more privacy. You will only be eligible to apply for accommodation once you have accepted a conditional or unconditional offer on a full time course for the academic year 2019/20. Please note that it may take 24-48 hours from when you accept your offer via UCAS for our system to then update with your status. If Leeds Beckett University is your insurance choice you are unable to book accommodation until Leeds Beckett becomes your confirmed place of study. Our online booking system is available for registration and online applications from the 4th February 2019. 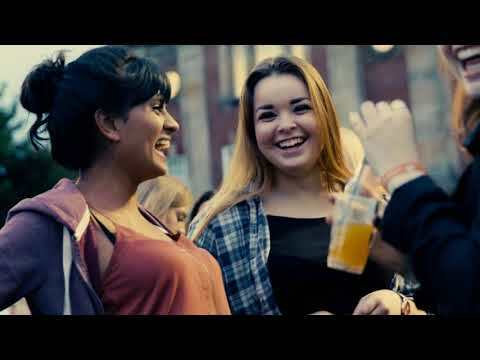 Leeds Beckett are able to offer a guarantee of student accommodation in the city to all applicants who make us their firm choice institution and book before the 31st July 2019. As soon as you select Leeds Beckett, you will be eligible to book your student accommodation through our accommodation system. Firstly you will receive a welcome email from accommodation where you will provided with a user ID, and you will be prompted to create an account and password on our accommodation system. You will then be able to log on and book the accommodation of your choice. Simply use self selection to choose the hall and specific room you would like, along with viewing some flatmate information to find the best fit for you. A £200 payment is required to book your place in most University accommodation buildings. This is required within 7 days of your application, and your application may be cancelled if the payment is not received. Properties where this does not apply is at The Plaza and Broadcasting Tower. At most halls your £200 payment becomes your refundable damage deposit with any damage caused deducted from this before it is refunded at the end of your tenancy. At The Plaza and Broadcasting Tower although no deposit is taken at the time of booking with the University, an advance rent payment of £200 is required which will be offset against your second rent instalment. Damages made to your accommodation are still subject to charges which will not be taken from a deposit but will instead by payable directly to Unite Students who operate and manage The Plaza and Broadcasting Tower. You are still able to cancel your booking before you sign your contract and receive a full £200 refund. If you cancel your Online Application before signing your contract or you are not accepted onto your course your deposit will be refunded in full. Once you have signed your contract your deposit will not be refunded unless the room is re-let before the start of the contract. Please see cancellations for details.